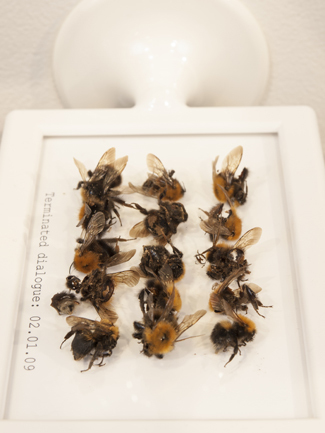 Terminated Dialogue refers to the "interrupted" communication between organisms and humans. 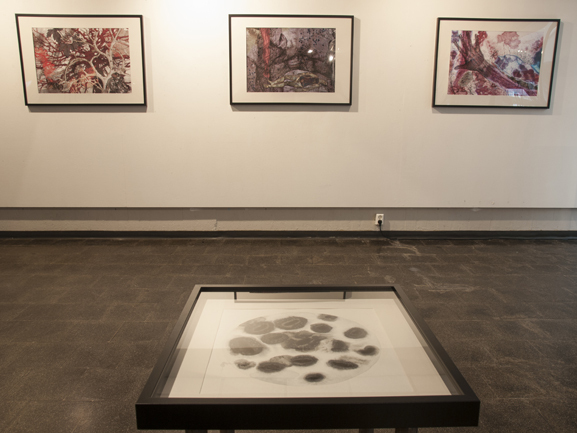 The exhibition is a wonder of the complex, intelligent and inaccessible to us macro and micro world of matter. 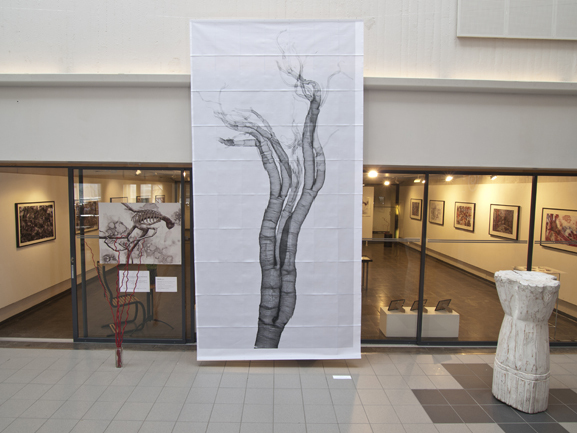 The project reflects on the mechanisms and processes behind visual manifestations of nature and other phenomena. Terminated Dialogue can also refer to the "broken" dialogue with the internal micro world in my own body and the feeling of being a stranger, being disabled to listen to the rest of the organic matter I am build of. This project can be interpreted as an attempt to "decode" fragments of nature, which I see as visual fractal-like and bifurcated manifestations of forms. Flies, bacteria, macro still life, Inteligent China Ink and monster breathing organ. Nature Morte. Micro, macro and what is in between and beyond.